The haircolor of the future has arrived. Chromatics prismatic permanent haircolor delivers 4D color deep into every strand. No ammonia, no odor, just stunning, high shine color and hair that's 2X fortified* with Chromatics vs. uncolored hair. Zero Ammonia formula means no odor, no discomfort—just amazing color. 100% grey coverage, can cover gray flawlessly while leaving hair shiny, conditioned and fortified. Fortifies every strand giving you shinier, healthier-looking hair and amazing color after just one salon visit. Chromatics Beyond Cover, for more resistant grey targets the issues that affect graying hair and offers the perfect solution. Chromatics Beyond Cover is formulated with argan oil, ceramides and antioxidants acai and vitamin E to specifically target the needs of 75-100% gray hair. The exclusive ODS2 + Protein Extract and Argan Technology leaves hair 2X fortified* and 2X smoother** than before coloring, with long-lasting condition and respect for hair's natural lipid balance. NEW! ZERO Processing Time for All LASIO KeratinTreatments! 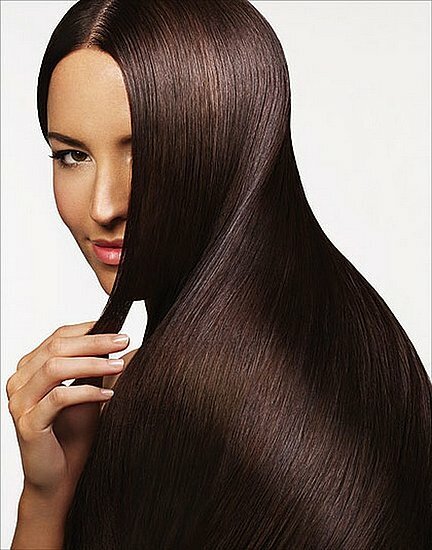 Keratin Formula Removes 100% Frizz And 90% Of The Curl That Produces A Silky Smooth Finish For Up To 4 Months. No more waiting to wash your hair. Lasio keratin treatments are infused with cocamide oil, amino acids and keratin, making it safe for your hair, and you are free to wash it and style it exactly as you would before you had the treatment done, eliminating 100% of the frizz. The only thing you will have now is luminous shine and 100% healthier hair. Bring Out The Star-Quality In Your Hair And Flaunt Hollywood Glamour At Its Finest. Luxuriate! Iconic Hair Is Yours. This all-natural formula is free of harmful ingredients, including drug and hormone additives. pH-Bonder is a unique synergistic system that helps protect bonds and reduce breakage during technical services (such as bleach and haircolor). It is very easy to use and adapted to the hairdresser’s routine. #1 Bond Protecting Additive: Helps protect bonds during in-salon technical services to keep fibers strong from within. #2 Fiber Restorative Pre-Wash Concentrate: Helps restore the hair fiber and smooths hair’s cuticle for improved strength, shine and softness during/after in-salon technical services. There are so many new and exciting things happening in our industry. My team and I just completed a class from a Redken Educator teaching us about the new things Redken has to offer such as phBonder, which protects the integrity of the the hair when we are performing highlights or color- it literally reduces breakage, adds shine and makes the hair look amazing. We were introduced to a new treatment called Heat Cure- which is a hair restoration treatment. No Chemicals- it restores the look and feel of damaged hair and can last up to 10 shampoos with home maintenance. We also performed balayage techniques with Redken's newest free forming bleach, which allows amazing natural looking results on the hair. I get pretty excited about Redken between creating vibrant, shiny, prismatic color with Chromatics, or with using their conditioning glosses to add shine and volume. So many good things. Explore our webpage and learn more about what we have to offer! * Take $10 off a woman's haircut and blow dry or $5 off a man's cut! Receive a glaze for $20 with any Hair service. *Promotions may not be combined with other offers. All promotions listed are subject to change. Please inquire, as we run new ones often.